"Conformation can be given by me." The above info came from Elwin Blaine Coldiron, and was edited by yours truly (contact me). The image came from Tenchi Pans. 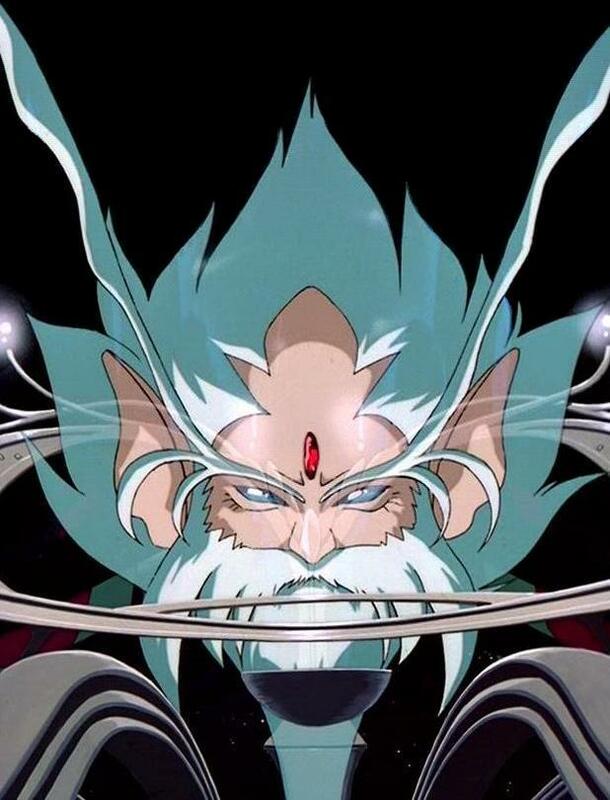 Like his mistress Tokimi, next to nothing is known about this being, other that he is in charge of the dimension that Tenchi and his friends live in. He was the one who erased the memory of Tokimi from the mind of Dr. Clay when he failed to obtain Washu.